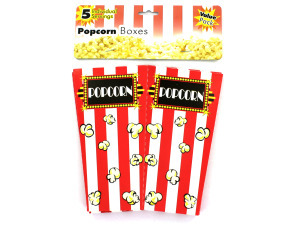 Create an extra fun movie night or snack session with this 5-piece Individual Serving Popcorn Boxes Set. 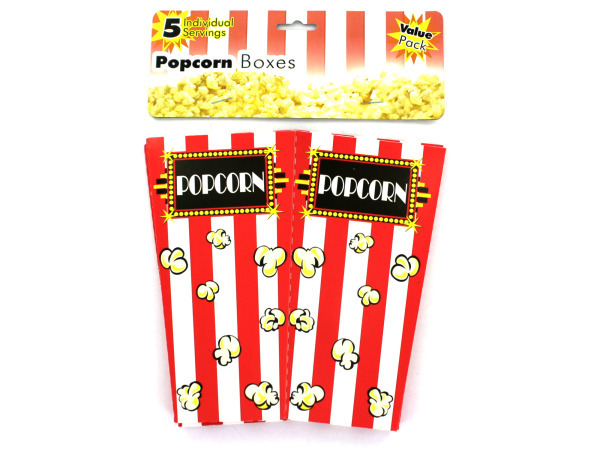 Each of the boxes can be formed easily, making for a box that holds 3-4 cups of popcorn. Boxes aren't for microwave use and are only for serving purposes. Each box measures approximately 6 1/4" high. Comes packaged in a poly bag with a header card.